Although the formalin test is a widely used model of persistent pain, the primary afferent fiber types that underlie the cellular and behavioral responses to formalin injection are largely unknown. Here we used a combined genetic and pharmacological approach to investigate the effect of ablating subsets of primary afferent nociceptors on formalin-induced nocifensive behaviors and spinal cord Fos protein expression. Intrathecal capsaicin-induced ablation of the central terminals of TRPV1+neurons greatly reduced the behavioral responses and Fos elicited by low-dose (0.5%) formalin. In contrast, genetic ablation of the MrgprD-expressing subset of non-peptidergic unmyelinated afferents, which constitute a largely non-overlapping population, altered neither the behavior nor the Fos induced by low-dose formalin. Remarkably, nocifensive behavior following high-dose (2%) formalin was unchanged in mice lacking either afferent population, or even in mice lacking both populations, which together make up the great majority of C-fiber nociceptors. 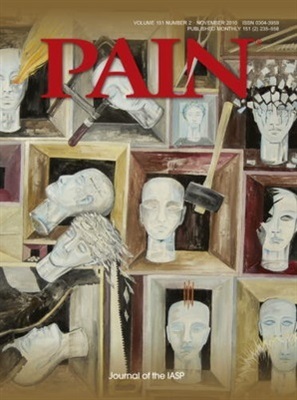 Thus, at high doses, which are routinely used in the formalin test, formalin-induced "pain" behavior persists in the absence of the vast majority of C-fiber nociceptors, which points to a contribution of a large spectrum of afferents secondary to non-specific formalin-induced tissue and nerve damage. Shields SD, Cavanaugh DJ, Lee H, Anderson DJ, Basbaum AI. "Pain behavior in the formalin test persists after ablation of the great majority of C-fiber nociceptors" PAIN 151(2):422-9. 2010.